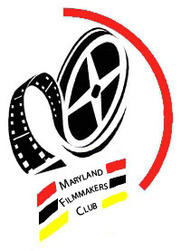 One portion of Maryland Filmmakers Club is dedicated to producing professional videos for organizations. Our past projects include promotional videos for Beta Psi Omega, University of Maryland Dining Services, and Making Noise, Inc. We can film, photograph, and/or edit any project for you. Prices will vary and are negotiable. For more information, please fill out our contact form or email one of our our Productions Managers at MarylandFilmmakersClub@gmail.com. UMD Green Dining Presents: Reusable To-go Container! Watch this informational video to learn how YOU can participate in the program and use the reusable container. Not only does it help save the environment, it saves you money!! Promotion commercial for Making Noise, Inc.
A promotional video for Beta Psi Omega, the nations first professional biology fraternity. Developed for the Alpha Chapter at University of Maryland, College Park.